The mission of this book is to integrate technology with the tools that children already use for crafts so that they feel that the technology is an extension of their playtime. We use coding, sensors, and micro-controllers integrated with art and craft supplies, origami, and Playdough. There are 10 fun-filled chapters that talk to children directly, and give clear instructions for non-technical parents too. 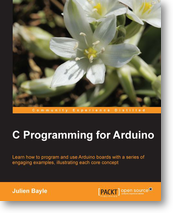 We use Arduino as the controller of choice due to its easy availability and large community. 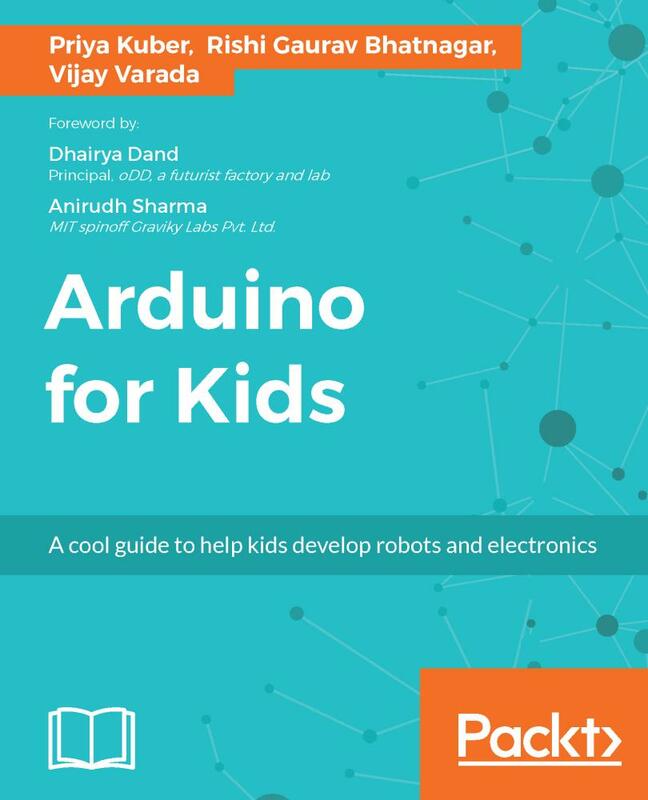 By the end of the book, children will comfortably be able to set up their Arduino, read and understand code, manipulate code, and ultimately write their own code for projects. 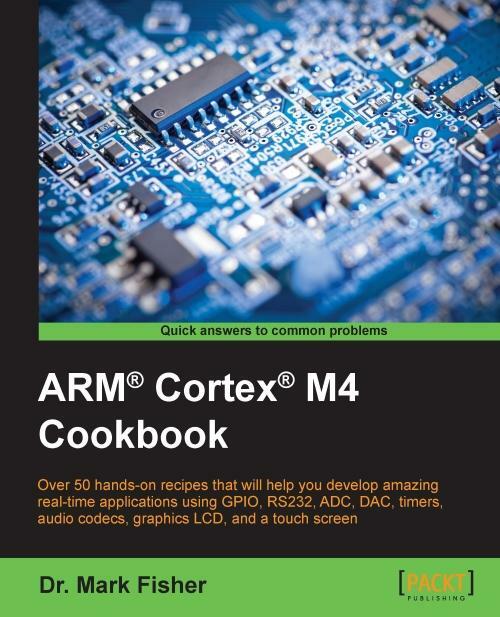 They will also be able to use basic sensors and know how components connect to each other. All the learning takes place with lots of colorful pictures and the circuits are neatly presented using wiring. Priya Kuber, is the first Indian woman to set up an open hardware company in India. At the age of 24, she was the founding CEO of Arduino India with a mission to empower students with the knowledge and tools to bring their creative ideas to life. She discovered Arduino in the year 2009 and has since contributed at several levels, including documentation, maintaining their official, blog and teaching workshops in rapid prototyping using Arduino, all across India. She has also won several hackathons and has mentored several winning teams. She now lives in San Francisco and works full-time on creating secure and impactful wearable technology. She is also the recipient of Silicon Valley’s prestigious Rajeev Circle Fellowship and has given talks all around the world including at TEDx. Rishi Gaurav Bhatnagar is a creative technologist who likes to work at the intersection of design and technology. He is an Intel software innovator, Arduino maker fellow, a volunteer at Random Hacks Of Kindness, also Campus Diaries 25 under 25- Science & Tech. When he is not tinkering with technology and storytelling, he spends time building new modules for students that help fuel their curiosity and build their innovation muscle. Vijay Varada is an artist, engineer, and entrepreneur whose motto is, create positive change in the world through art, design and technology for sustainable and exponential development and progress. He is the CEO, and cofounder of Fracktal Works, which is engaged with design and research in the field of additive manufacturing, rapid prototyping, and product design with its line of desktop and industrial 3D printers aimed at using the technology to empower the abilities of students, engineers, designers, and industries. Vijay actively contributes to open source hardware projects, particularly assistive technologies for the blind.